There are 3 reviews of Jimmy Choo Man Blue. Jimmy Choo Blue is just your average, modern fresh/sweet scent. It's not aquatic, maybe Blue means it's just a little lighter than the original Jimmy Choo Man? I like Intense better than the previously mentioned other two and the Ice version is the best of all four versions, being that it's the least cloying and powdery. Also, Blue is one that smells better in the air than on skin. The sweet, powdery feel reminds me of Armani Code. The later stages of the drydown reveal a pleasant, soft vanilla. I get really good projection during the first 4-5 hours. Longevity is in the 8-9 hours on me. Alright Mr. Choo, I see you! It appears that after a litany of mediocre retreads parroting 20 years worth of "safe and clean" choices, Jimmy Choo decides to join the 2010's "marine ambergris" gang by upping the ambroxan ratio to dizzying heights. It's a move just like Dior Sauvage (2015), Versace Dylan Blue (2016), or Y Eau de Parfum (2018), the latter of which launched concurrently to this. However, what those scents do right which this does wrong is pair that ambroxan with something memorable (or shocking) to make a modern "ambroxan bomb" that actually stands out on its own merits. Sauvage has that extreme "desert-like" demeanor thanks to overcharged ambroxan and norlimbanol with little else to blend them, while Dylan Blue revisits early 2000's fruity notes and the Y eau de Parfum mixes plenty of warmth into it's faux ambergris late in the drydown to make a dynamic switch from cool aquatic top to cozy base. With Jimmy Choo Man Blue (2018), we get a personality closest to Y Eau de Parfum, but midway between it and the abysmal Y by Yves Saint Laurent (2017) eau de toilette version from the previous year. If you know anything about that travesty, you'll know how irredeemably scratchy and itchy it becomes when it tries to fold powdery barbershop elements into it's mix, and the distinct lack of those elements in the EdP version (replaced with oriental notes) are what makes that iteration actually quite good. Jimmy Choo Man Blue kicks its feet by trying to serve up "half and half" with some barbershop elements mixed with some oriental ones, and that ambroxan playing traffic control for it all before giving into the synthetic woods base. Sorry, but it just doesn't work for me. Jimmy Choo Man Blue opens with bergamot, clary sage, black pepper, and some aquatic elements, but unlike the original Jimmy Choo Man (2014), Jimmy Choo Man Intense (2016), or Jimmy Choo Man Ice (2017), there isn't a huge focus on fruit, calone, or anything that feels like a throwback to the 90's or early 2000's. 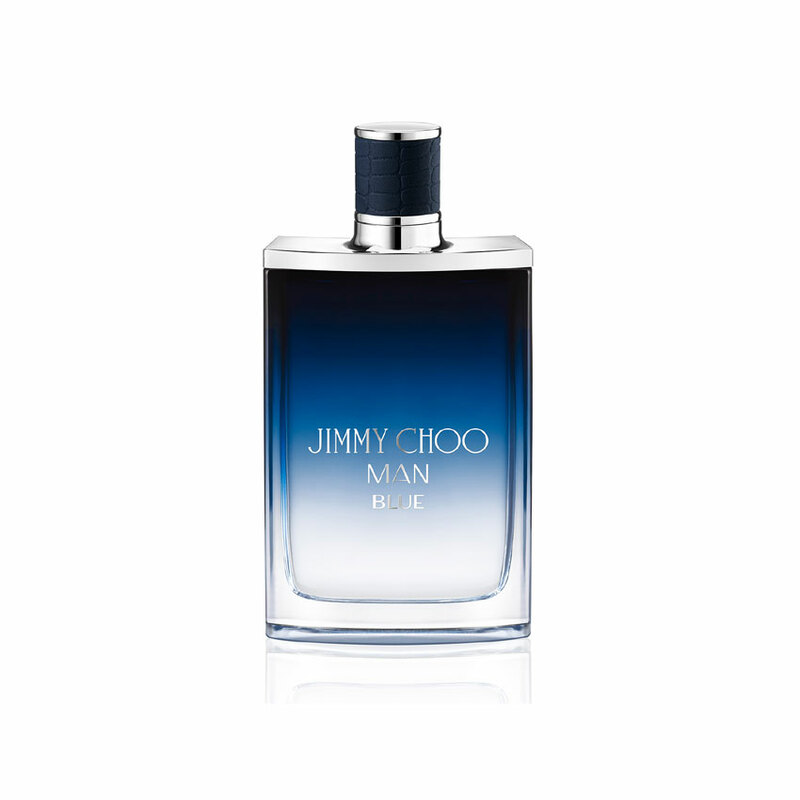 With Jimmy Choo Man Blue, it's a thoroughly-current affair for better or worse, with little fruity sweetness. This inadvertently makes Jimmy Choo Man Blue the most mature offering, at least until the base sets in and destroys any respect one might have for this slight improvement overall. Nathalie Lorson has done some good work for Lalique and others when commercialism isn't the aim, but with this and her previous mainstream masculine effort Gentleman Givenchy (2017), it feels like she just phones in the accords the market research team prescribes to her, rather than do anything creative with it. The heart is a bit surprising, as this is where the ambroxan sits alongside a bit of leather, meaning the final dry down isn't actually a big glob of the stuff, but it's the only other pleasant quirk besides the dry opening before a "Designer 101" base of synthetic woods, vetiver, and a bit of vanilla settle down to a scratchy and cloying base of meh. Wear time is about 8 hours of medium projection, and the whole development happens in the first hour, so this is pretty linear to boot. I can't see somebody offending with this, but just like other entries in the line, it's unremarkable to an extreme, with the added no-no of a cloying scratchy base that could have been better-rounded or padded out with something to avoid that eventuality. 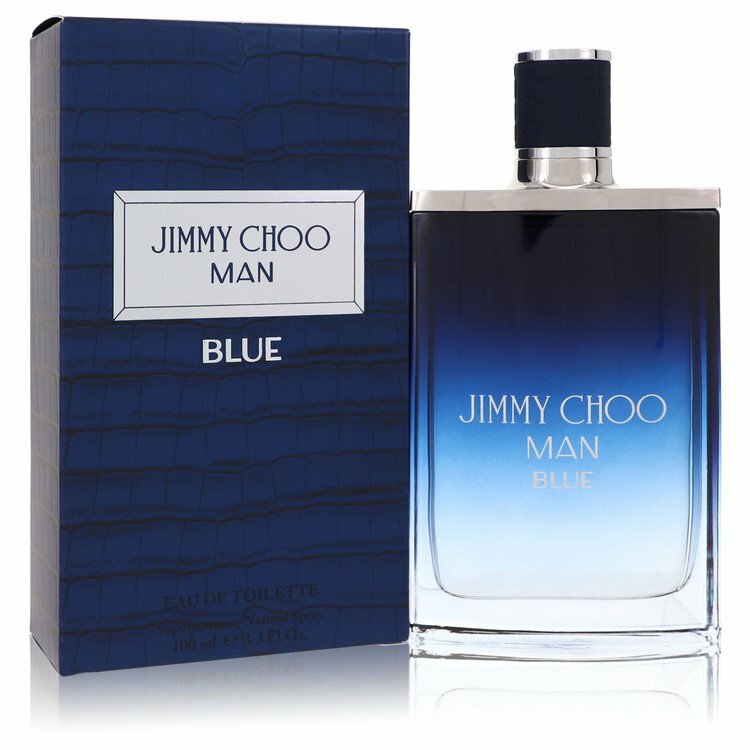 I find Jimmy Choo Man Blue to actually be a bit more annoying than the original Jimmy Choo Man, with the Jimmy Choo Man Ice so far being the most wearable, even if that one is just a Dior Homme Cologne (2013) remix, so the track record for the house is not too hot, at least in my eyes. Of course, your mileage may vary, and if you end up liking the marine ambergris over leather, woods, and vanilla goulash that is served up by Nathalie Lorson, then by all means enjoy. My reception of the stuff should be a guidepost for an educated choice at most, not a deterrence to sample, so definitely cruise into an Ulta, Sephora, or Macy's to give this a sniff, especially if this genre is a fave. As for me, I've exposed myself to a lot of what the 2010's has to offer in the mainstream masculine veins, and although the unprecedented lack of variety has caused real market shifts (and needs correction before it's too late), there are still a few diamonds in the rough, but this just ain't one of them. In fact, I've not even heard or seen much on this until stumbling across the tester, almost as if this was released in a compulsory "me too" fashion and not actually meant to be promoted. Is Jimmy Choo just "keeping up with the Joneses" with this? Well, that would certainly explain the public access television-quality of the composition, and if that's the case, why even bother making masculines at all? You don't see Balenciaga putting out another men's fragrance, and although I do miss all the old ones, I'd rather them stay out of the game than make something nobody wants to wear, which is something Jimmy Choo doesn't seem to understand. 3rd flanker and 4th release by J Choo for men. Blue follows in the footsteps of the previous flanker (Ice) by presenting a citrus (bergamot) in the opening; but it is not as aclean and fresh or intense as the trio you get with Ice. Instead, sage and pepper subdue the citrus, creating a pencil shavings vibe as it settles. It seems promising until the CK Obsession-like sandalwood and vetiver combo that ruins it in my opinion. I don't find it 'blue' at all; I would have used the adjective 'Night' as it is more sensual than sporty (assuming blue is sporty). Overall a decent flanker that does not stray too much from the bunch. Ice is still my favorite for its bright sunny character, that has nothing to do with Ice, go figure. JIMMY CHOO MAN BLUE 10 ml EDT Travel Spray Brand NEW 2018 Excellent Fragrance!! There are no member images of Jimmy Choo Man Blue yet. Why not be the first?